Performance in the pits is just as important as it is on the track. The Dirt Racing Products parts tray provides a great platform for organization with its detailed design, divided pockets and steady base weight. 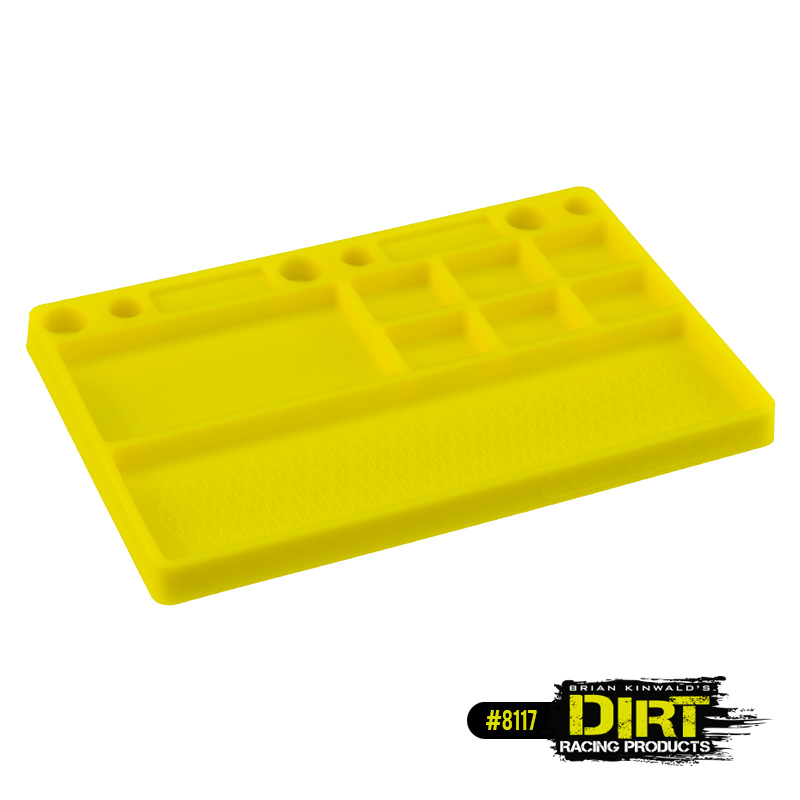 The tray is precision molded in a rubber material which shows well in any pit area with the yellow color option. The grippy nature of the rubber allows the parts to stay rooted where they are placed. The tray has six, built-in positions to place a differential for builds or fluid fills and can accommodate 1/10th and 1/8th sized assemblies. The iconic Dirt-Web tread pattern is raised into the surface of the largest cubicle to show brand loyalty and authenticity.